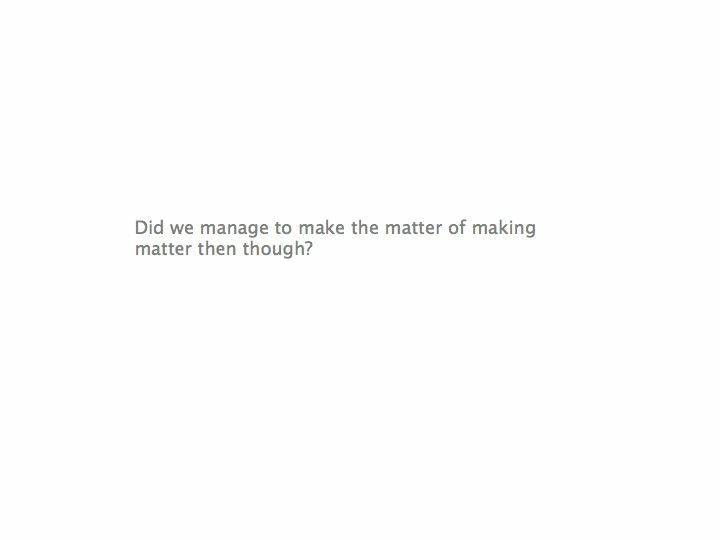 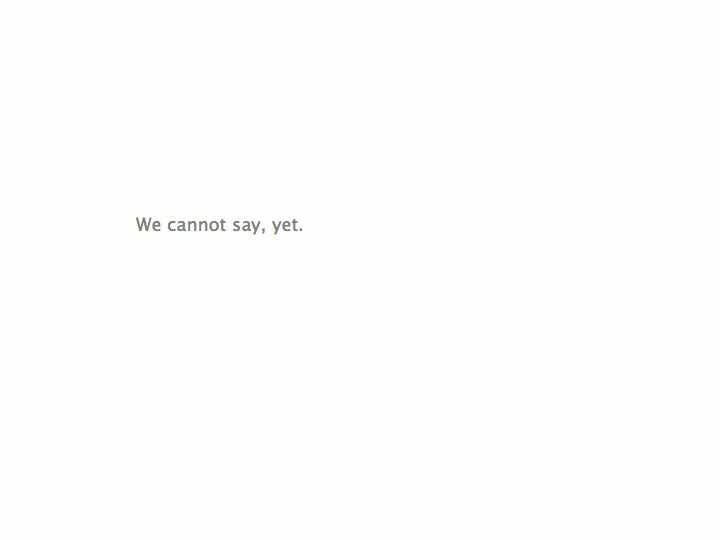 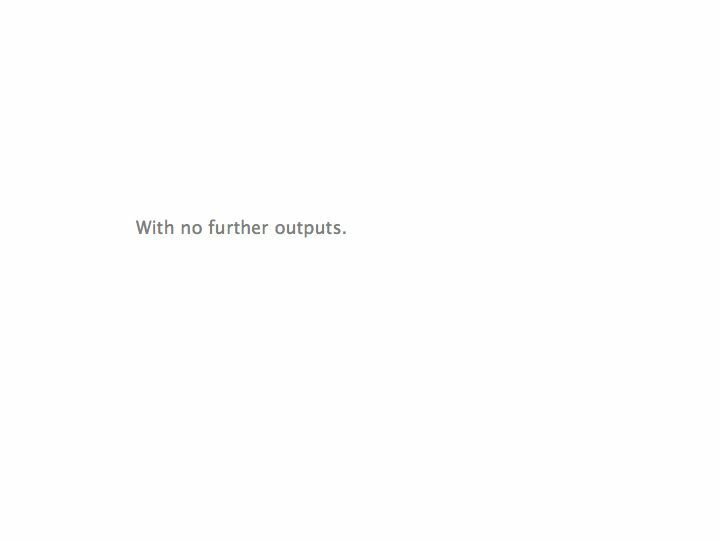 We will present a performance/dialogue/experiment in making and talking, that articulates and questions our own working process and aesthetic, while asking what it means to make the making of work matter as an end in itself. 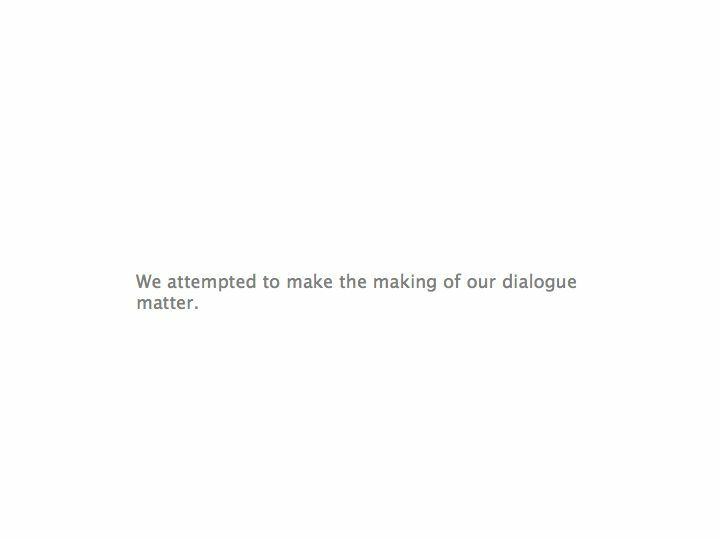 We propose not only to discuss our research but that the discussion becomes the research itself. 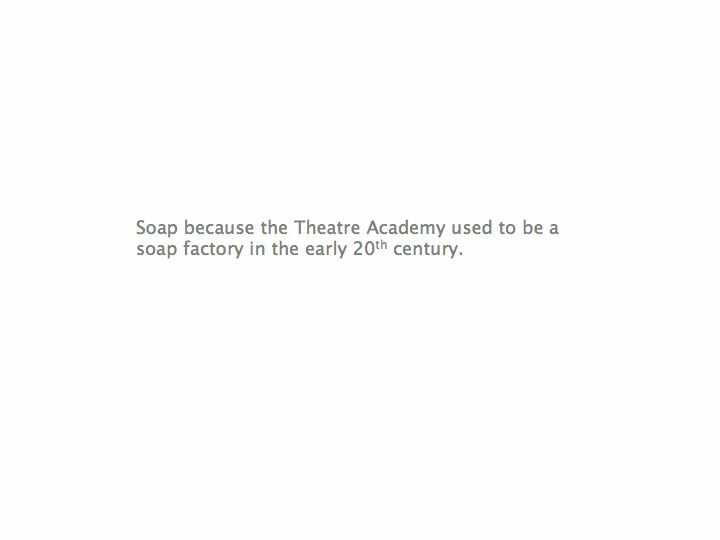 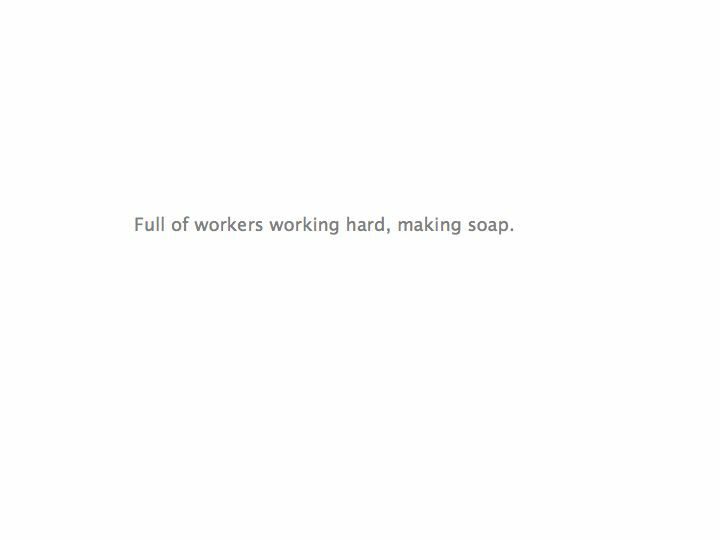 Drawing on the history of the Theatre Academy building as soap factory Kokos Oy, we will scrub our hands, arms and face with soap until the bar of soap disintegrates, making ourselves clean but having nothing more to show for it. 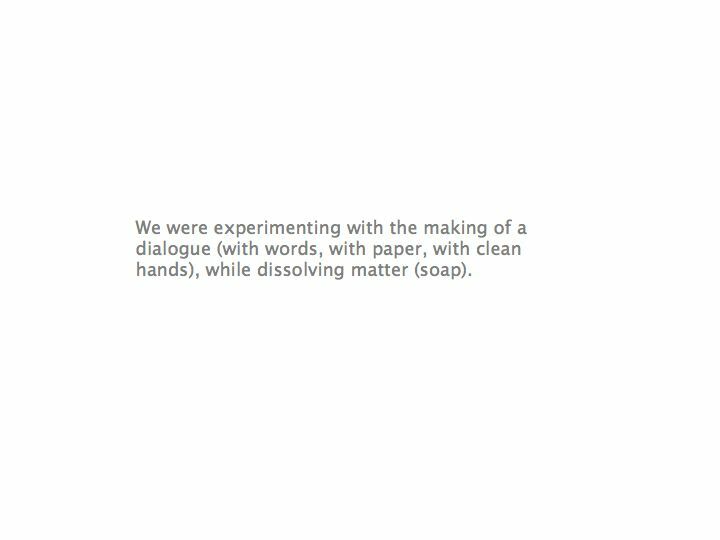 At the same time we will critically and creatively reflect on some of the theories that have influenced and inspired our practice (those of, for example, Henri Bergson and Jane Rendell), experimenting with the making of a dialogue (with words, with paper, with clean hands), while dissolving matter (soap). As practitioner-researchers, we have been collaborating for the last five years to produce a series of short performance installations as part of an ongoing project called Brief Encounters (or The Breaking of Images). 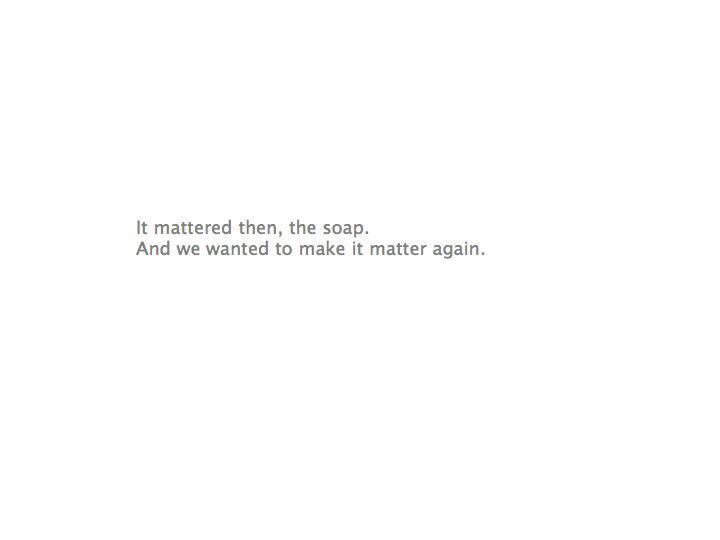 We prepare our work at length, engaging with the sites in which we find ourselves, only to perform it for a few minutes before removing all traces of it. 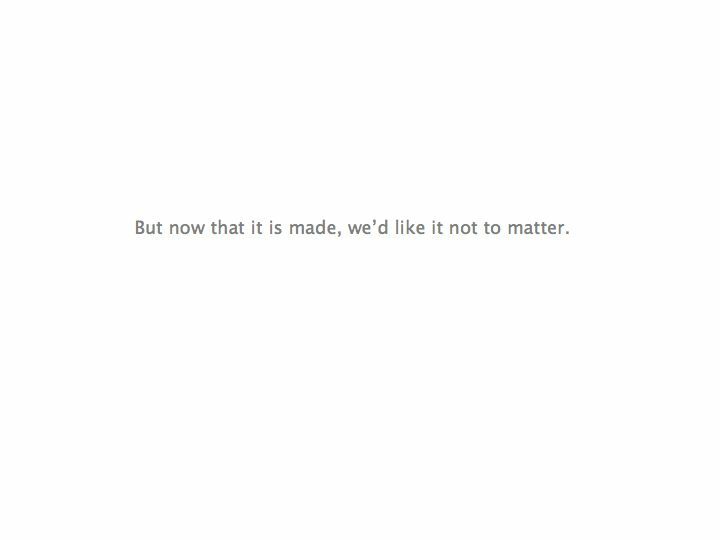 It is the act of making and unmaking images that matters to us. 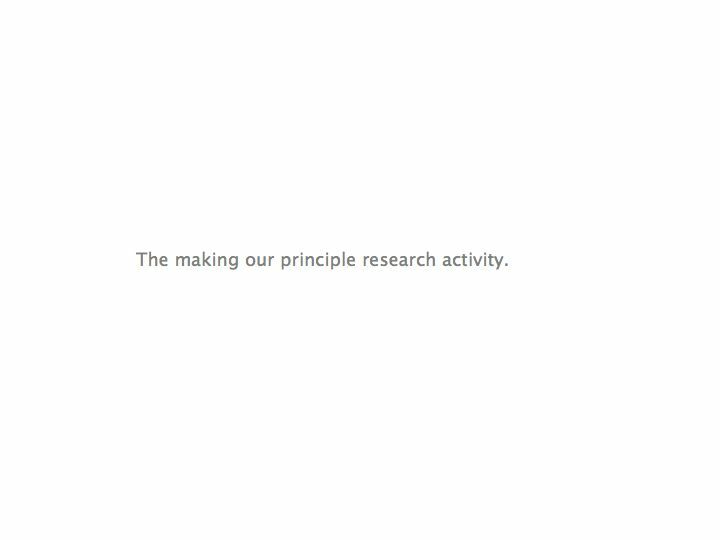 The making is our principle research activity. 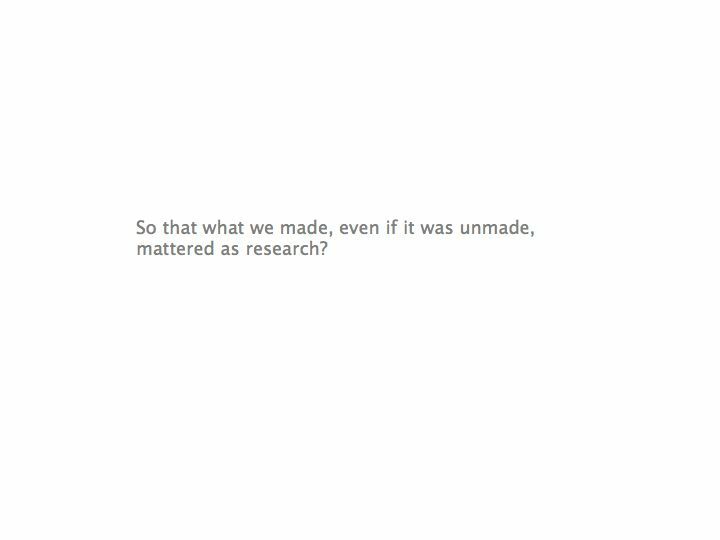 The making is our research outcome. 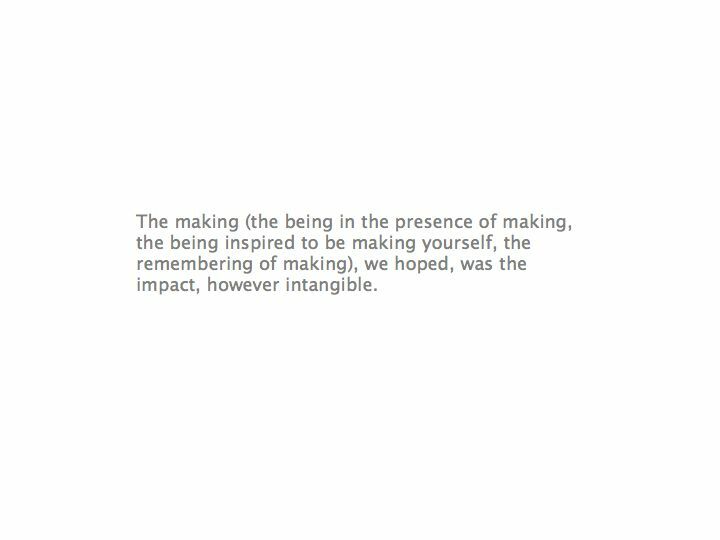 The making (the being in the presence of making, the being inspired to be making yourself, the remembering of making) is the impact, however intangible, in which we are interested. 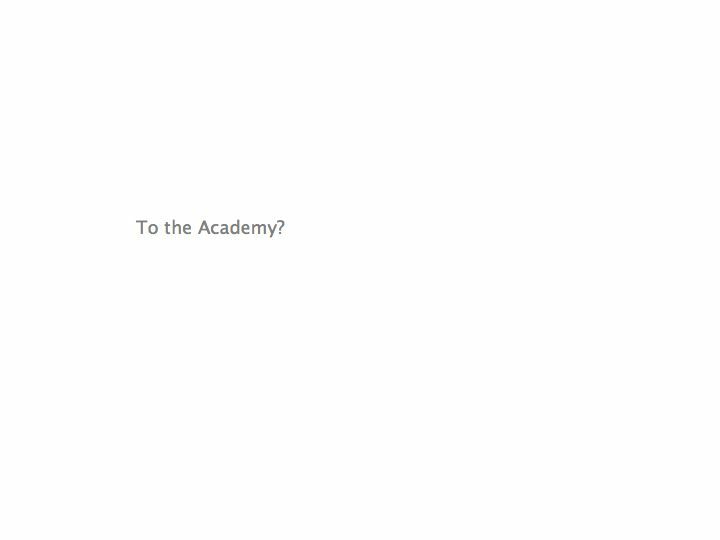 It reminds us of all the possibilities that we are persuaded to forget. 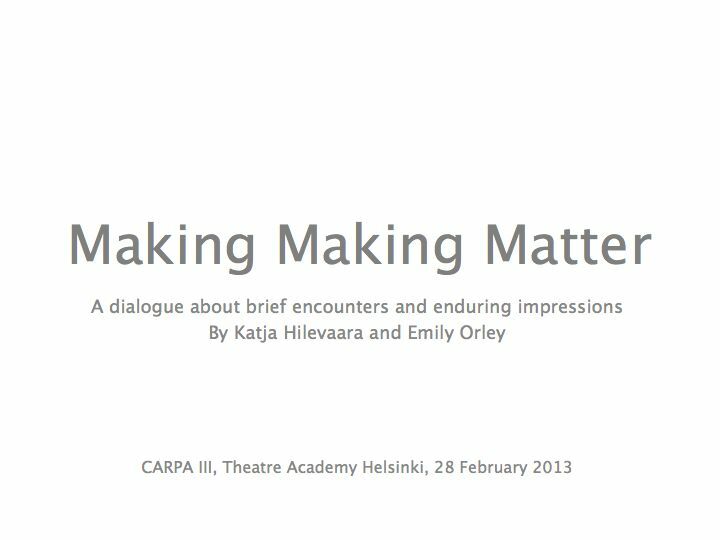 Katja Hilevaara and Emily Orley are artists, researchers and teachers in London. 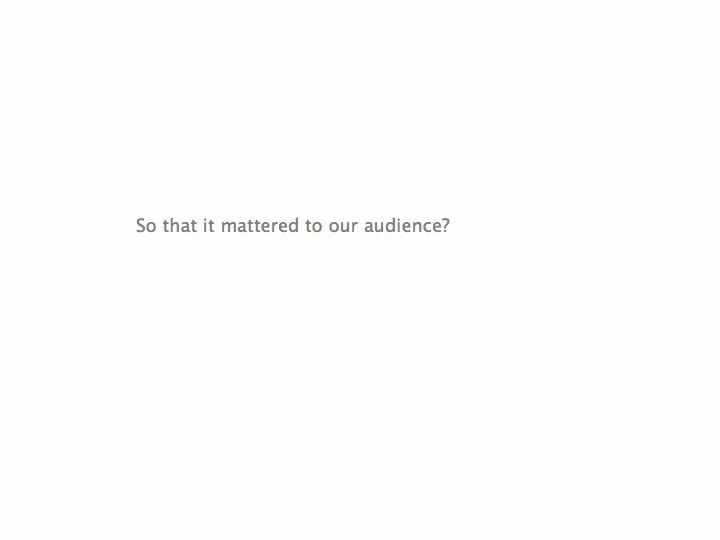 They have been collaborating on a range of projects for the last ten years, involving performance, installation, writing and design. 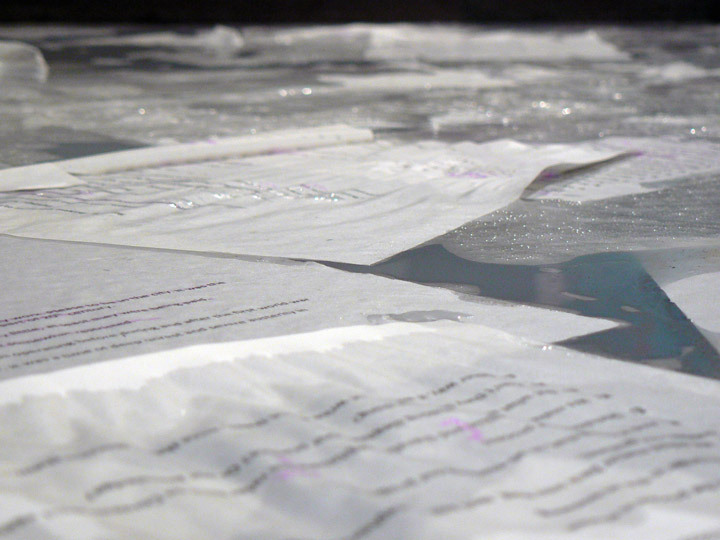 Previous performance installations for Brief Encounters series include Oxymandias (PSi Utrecht, 2011); Ivory Towers (Bristol, 2009); Opiate (London, 2008); Narcissus (London, 2008); Lusikka (Manchester, 2007); and Teippi (London, 2007). 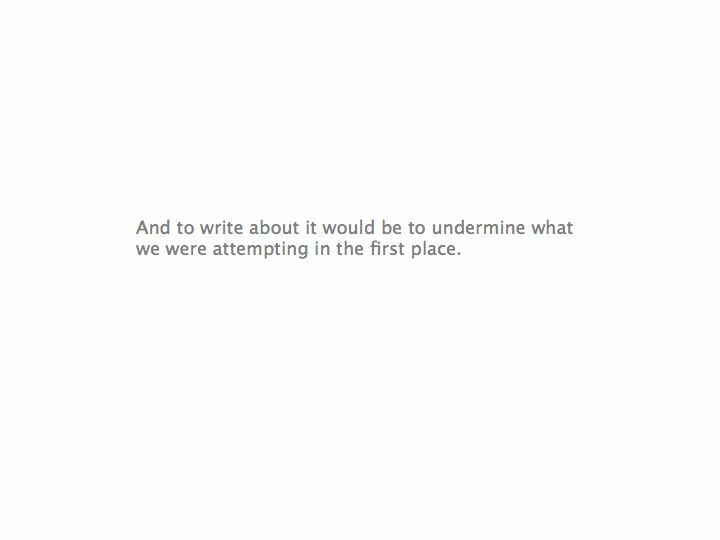 They also worked together to adapt Tove Jansson’s Summerbook to the stage with artist Rajni Shah (South East Arts Council commission, 2005); and collaborated on a devised performance, Napoleon in Exile (Edinburgh and London, 2003). 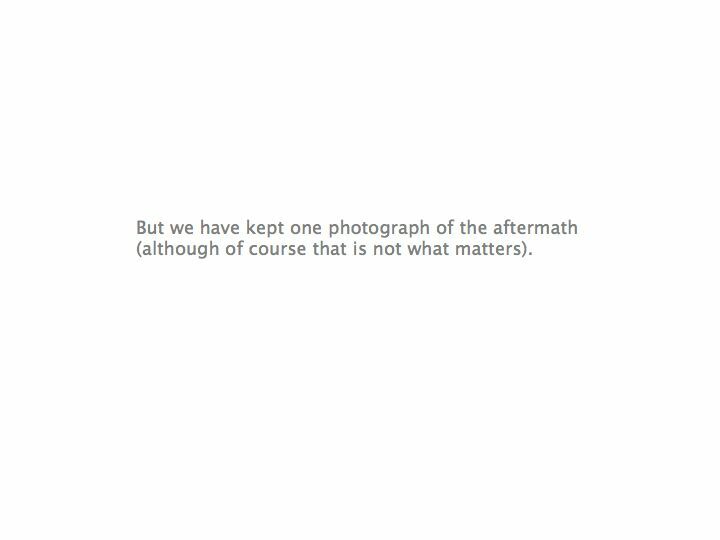 They presented a performance paper “Place as a remembering process: a conversation about making and breaking images” at PSi Utrecht (2011).